Growing up as a born and bred yankee, I never ate crawfish or even heard of it as a food item. Frankly, the thought of it was somewhat unappetizing and, if you’ve ever seen a live crawfish, you will know that the look of it is no more appetizing than the thought. However, if said crawfish is de-shelled, de-veined, cooked and removed from anything resembling the original organism, it tastes much like lobster and is in fact quite tasty. I mentioned in an earlier post that there is a restaurant in Indianapolis called Yats, where Dr. Matthews and I enjoyed many a cajun-creole dish, our favorite of which (and their signature) is chili cheese étouffée with crawfish. Not chili cheese as in the cheese you get on nachos at sporting events, but rather a spicy cheddar goodness. I made this recipe once before, with good results, and thought I’d give it another go this weekend. Before I get to the recipe, though, I wanted to briefly share my latest joy in kitchen accessories (no, this is not a paid advertisement – though I wish it were!). For Valentine’s Day, Dr. Matthews got me a gift card for Williams Sonoma. For those of you who are unfamiliar, Williams Sonoma offers a variety of high-end kitchen gadgetry and accessories. 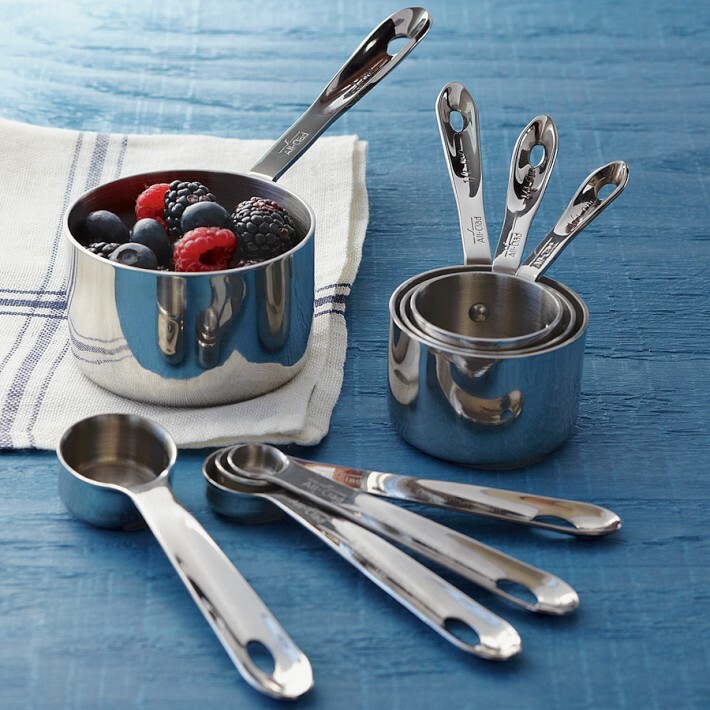 The products offered are on the pricey side, but, are also high in quality and, for a cook who has melted one of her measuring spoons and broken the handle off of another, a nice set of all-clad, stainless-steel measuring cups and spoons were right up my alley! Back to the main event. 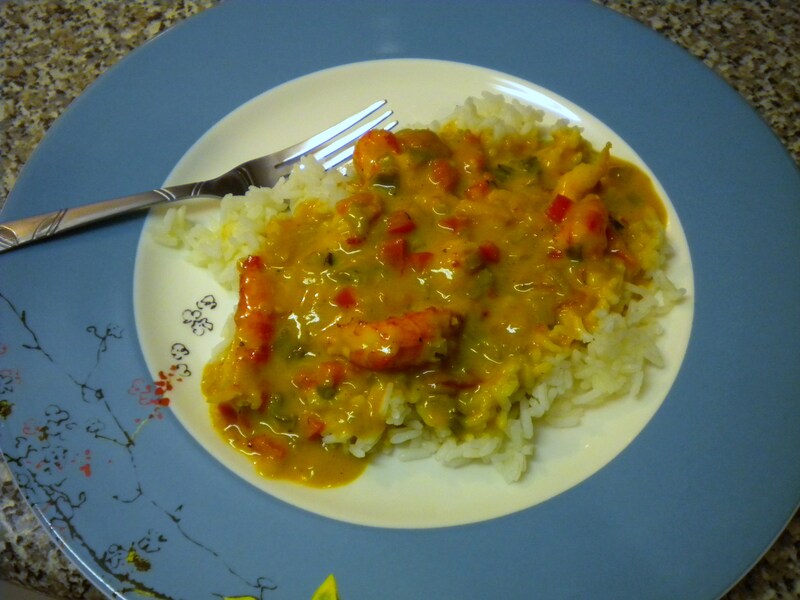 This recipe calls for several ingredients, but they are all fairly easy to procure, with the exception of the crawfish. I was able to find some at a local seafood store, but am not sure how accessible crawfish is to the non-coastal readers out there (I’d love to hear some feedback on that). You can also use chicken, if you can’t find/don’t like/can’t eat/are afraid of crawfish. 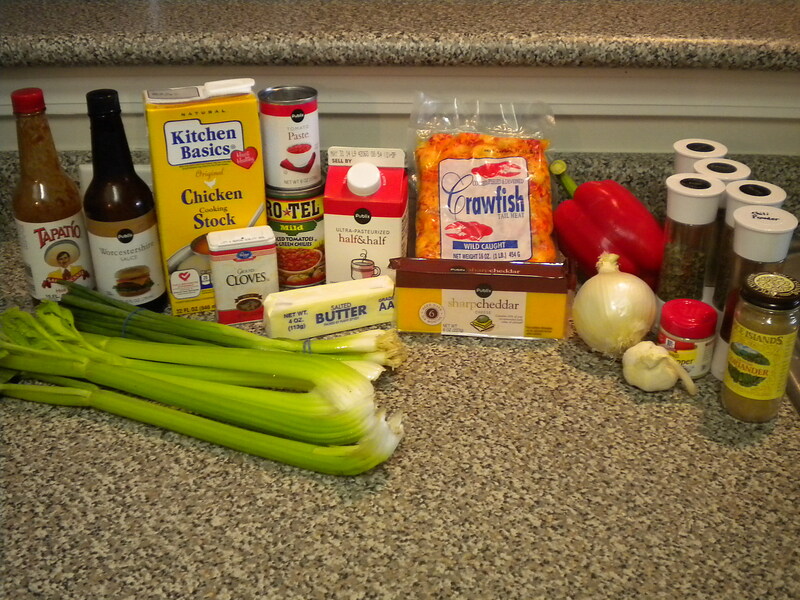 There is quite a bit of chopping and dicing, and you have to make a roux, which some find tricky upon first try. 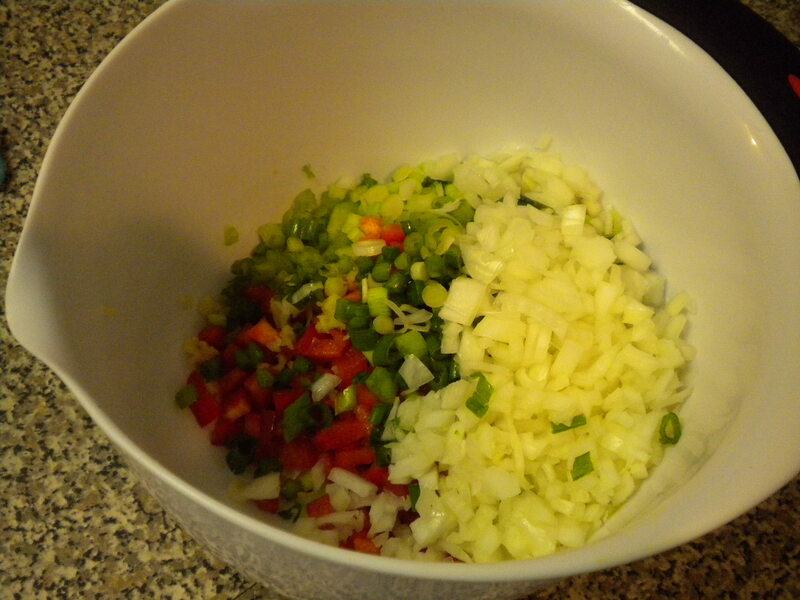 For the chopping and dicing, I recommend a glass of wine (red is my favorite for cooking) and Pandora salsa radio. In fact, for any of you out there who don’t think you enjoy cooking (which I would imagine is very few, as you are reading a cooking blog, after all), or might not be in the mood for cooking, I highly recommend you pour yourself a generous glass of wine, turn up whatever tunes most suit you, and get into your groove. Pretty sure I learned this from my mama. 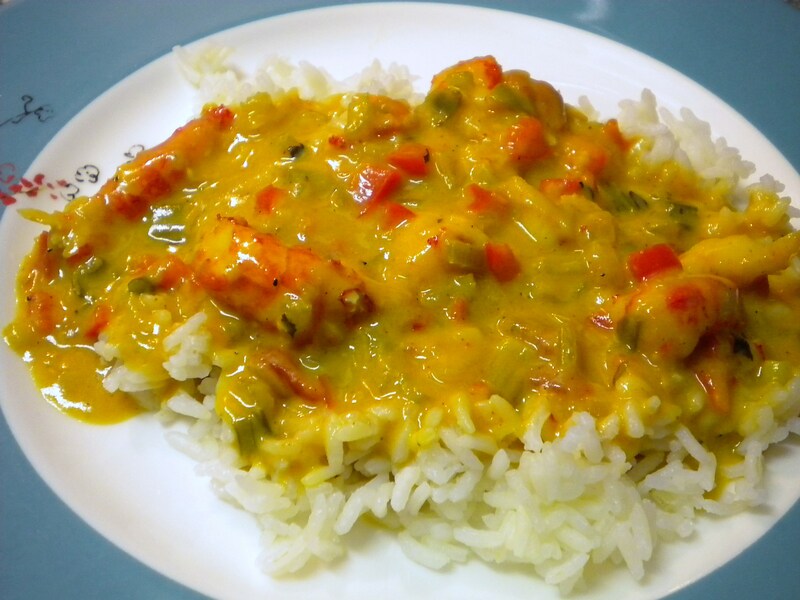 Gently stir in the chicken (or shrimp or crawfish) and serve with white rice. Yats serves it with this delicious, crispy, buttered bread. I did that last time and really wish I’d done it this time, too!